The WORK2019 conference will be held on 14–16 August, 2019 in Helsinki, the capital of Finland. 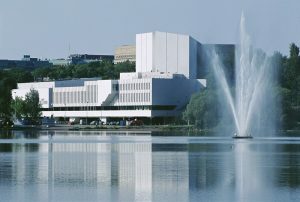 The main venue of the conference is the monumental Finlandia Hall. The WORK2019 keynote speeches and sessions are held in the congress swing of the hall. Just across the street is the historical National Museum of Finland which functions as a session venue as well.